Home > The Basic Facts > What Kind of Child Support is Available? The welfare of children and the reduction of child poverty in the UK are two of the objectives of the Child Support Agency (or CSA). This government executive agency is responsible for implementing the 1991 Child Support Act, and also forms part of the Child Maintenance Enforcement Commission (CMEC). Understanding what child maintenance is will enable parents with care to make informed choices regarding financial assistance for their child or children. This maintenance payment is made by the non resident parent of a child, or children, to the parent with care to provide financial assistance with the costs of raising a family. The amount of child support paid can be arranged privately between both parents, in a private agreement, or set up, collected and distributed by the Child Support Agency. A parent with care may apply for maintenance support by supplying relevant, current information about the non resident parent. The CSA will then gather information concerning the non resident parent’s income and circumstances, assess the claim and process the application. Once the amount of payable maintenance has been calculated the CSA will collect payment directly from the parent, or from the parent’s employer, and distribute this to the parent with care. This form of child maintenance provides a secure means of regular financial support, and takes into account any other benefits the recipient may already be receiving. If you have a child under the age of 16, a child over 16 who is in full-time education or training or a 16-17 year old who has left school but is registered for training, you will be eligible for regular Child Benefit payments. This tax-free payment is available even if the child does not live with you, although there are certain conditions. Namely you must contribute to the child’s upbringing and the person your child lives with is not already claiming Child Benefit. The amount of child benefit payable is currently, eldest or only child £20.30, additional children £13.40 per child, guardian's allowance per child £14.30. This amount is paid directly into a bank account and is usually paid monthly. However, if you claim Income Support or a Jobseeker’s Allowance arrangements can be made to receive Child Benefit on a weekly basis. If you are the child’s legal guardian you may also be entitled to Guardian’s Allowance. If you are the parent with care of at least one child under 16 you may be eligible for Child Tax Credit. Tax Credit payments are made by the government, to help with the day to day costs of raising a family. If you are on low income you can claim Child Tax Credit and Working Tax Credit. In order to claim Working Tax Credit you must be responsible for a child, have a disability that causes disadvantages in finding work, or be over 50 and returning to work after a period on benefits. My ex and I split up 6/7?years ago. I have my daughter 4 nights of the week and her dad has her 3 nights of the week. I asked him for money once for child maintenance and he says he doesn’t need to pay me anything as he looks after her as well. Surely he has to give me something towards her upbringing regardless if he has her 3 nights? Sometimes I have her more if he goes away etc which he will be for 2 weeks soon and has done in the past. Unless you have an agreed share-care arrangement where you split cost between you and you have negotiated that child maintenance need not be paid, then your ex should pay. 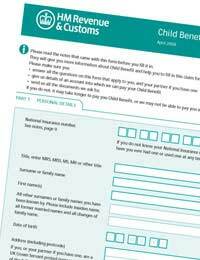 Also, if you are the parent who is in receipt of child benefit, then you are legally allowed to claim. You may wish to give CMS a call for further information, please see the link here. I have recently split up from my partner who I have a five month old child with, I am than happy to provide for the up bringing of my child however, I do not want to give any expenses to my ex partner, my question is can I provide for my child by buying clothes and food for my child on a weekly basis rather than giving my ex money as I have no guarantees she will spend on my child. You can if your ex-partner agrees with this arrangement. If she doesn't, then she would have the opportunity to apply to CMS for child maintenance directly. CMS would assess you on your earnings, from which the money would then go to the mother to provide for your child directly. It is deemed that the mother does not have to justify how she spends the money, as it goes in the general pot towards providing for your child's day-to-day needs. If you live outside the UK, the Reciprocal Enforcement of Maintenance Order (REMO) Unit helps to register and enforce child maintenance orders internationally, please see link here. I have 3 children to a previous marriage. I have been paying child support for several years at the amount calculated by CSA. One of my children is over 18, so I no longer pay towards her, 1 child is 19 this year & the other is turning 16. 4 years ago, I began a new relationship & 2 1/2 years ago we had a daughter. I have still maintained paying the calculated amount & we are now finding ourselves in debt because of those outgoings & finding it difficult to provide for our daughter (my ex is remarrying this year so they will have another income if don't already do so). I was just trying to find out, sadly through desperation, if any one knows wether I could have had my payments reduced upon the the birth of my daughter. I know it seems late asking now but I have just always assumed I had to pay what I was told.